Album Cover Parodies of Frank Zappa & The Mothers of Invention - Freak Out! 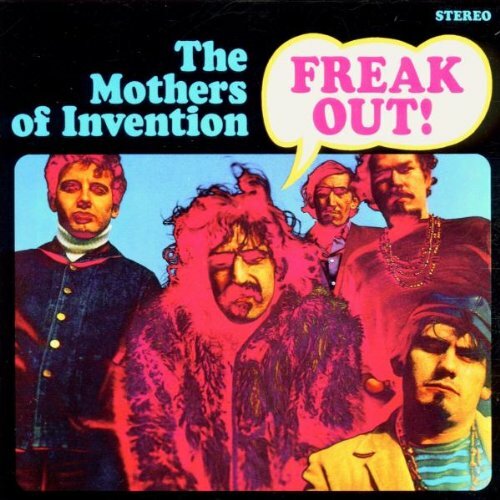 Image Parodies -> Album Covers -> F -> Frank Zappa & The Mothers of Invention - Freak Out! The first image on the page is for Frank Zappa & The Mothers of Invention - Freak Out!, followed by the original. Also check out the most recent parody covers submitted to the site. ...for terrorism, anti-semitism, Naziism, Chavez, and Ahmadinejad! speak out..., save your political comments for the party sites. this is a humor website! One word for the original poster - chlorpromazine. Uh, so, how's that whole "absolute moral authority" thing coming along, hypocrites? Does anybody even remember who Cindy is anymore? Anybody? Anybody? Bueller? Buuueller?